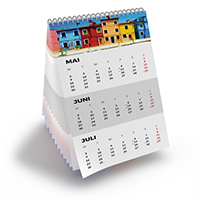 You have your plans, and our calendars let you keep them in view month after month and year after year. 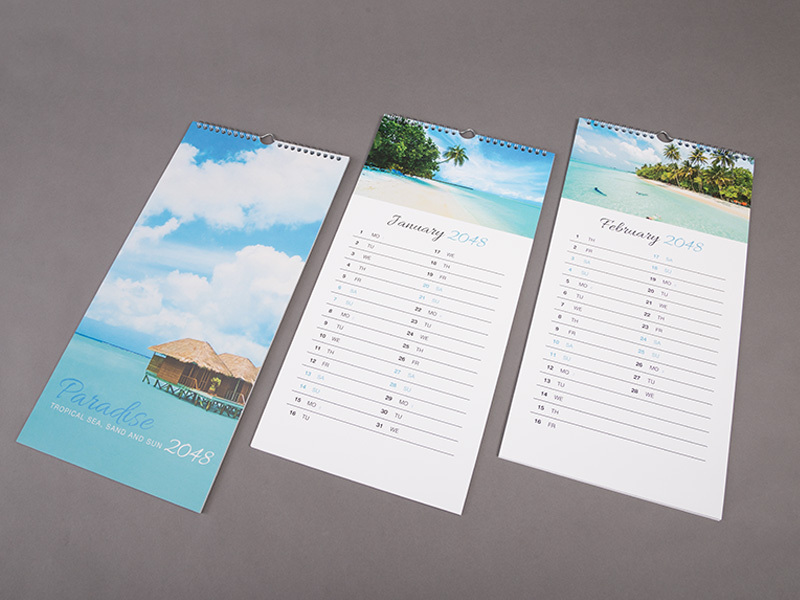 For even easier ordering, you’ll find templates with a contemporary look & feel for personalising here in our shop in the following sizes: A1, A2, A2, B1 and B2. 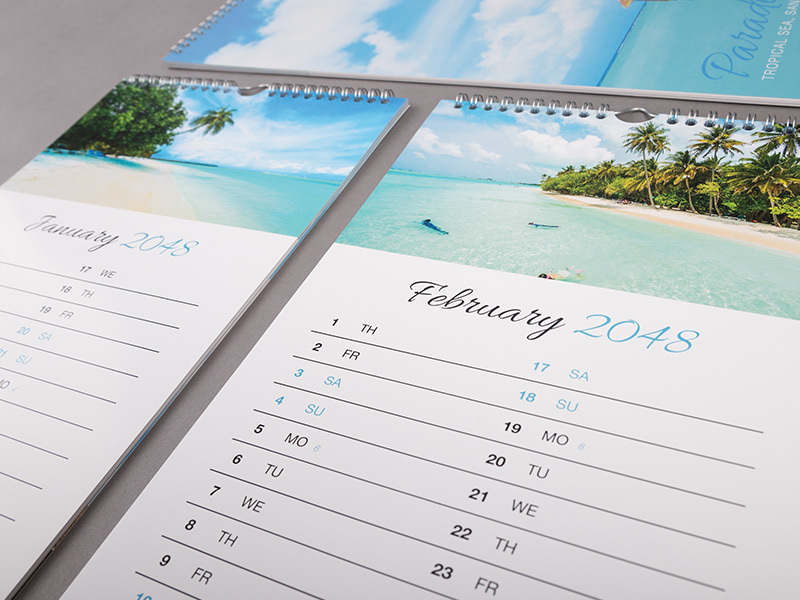 Give your customers time – in the form of a personalised year planner with holidays, weekends and all of the special dates you want included. 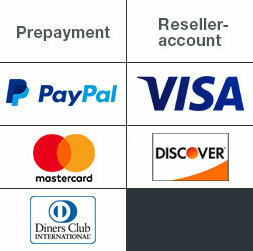 So they won’t miss a single one of your events, trade fairs or invitations. 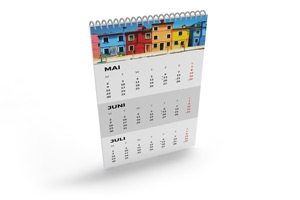 Each of the 12 monthly pages of our year planners displays three months: the current month in the middle, surrounded by the preceding and following months. 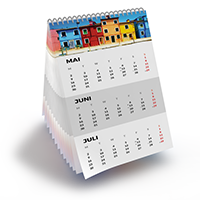 This lets you keep past and upcoming dates in view. When it’s past, you flip to the next month without losing sight of the one you just left. So that every month has its turn at centre stage, our year planners always contain 12 calendar pages plus a cover page and, optionally, one reverse side as well. That totals 13 or 14 printed pages, just as you please. 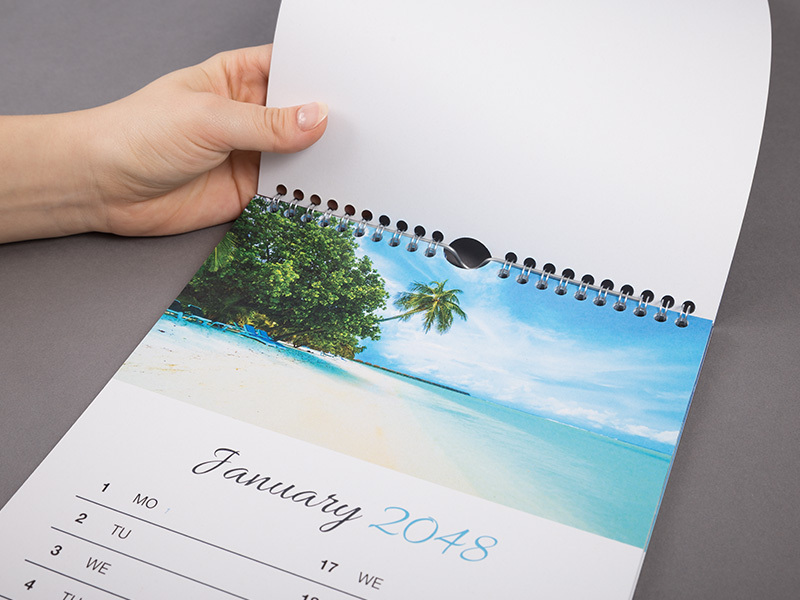 We print your year planners on one side in full colour in the standard format of 21.2 x 42.4cm in quantities between ten and 250. It only depends on how many clients, business partners and staff you want to get in on the plan. 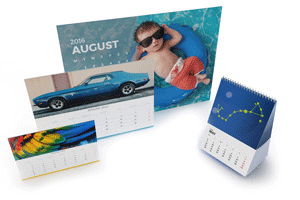 Whatever we print, we always strive to satisfy our customers. But if this plan should ever unexpectedly fail, new customers receive a full refund and returning ones are offered a generous solution in their favour. From our perspective, this is the best plan for ensuring a long-term business relationship that is satisfactory to both sides.